Future Group is known for its well-crafted retail experiences at various chains across the country. 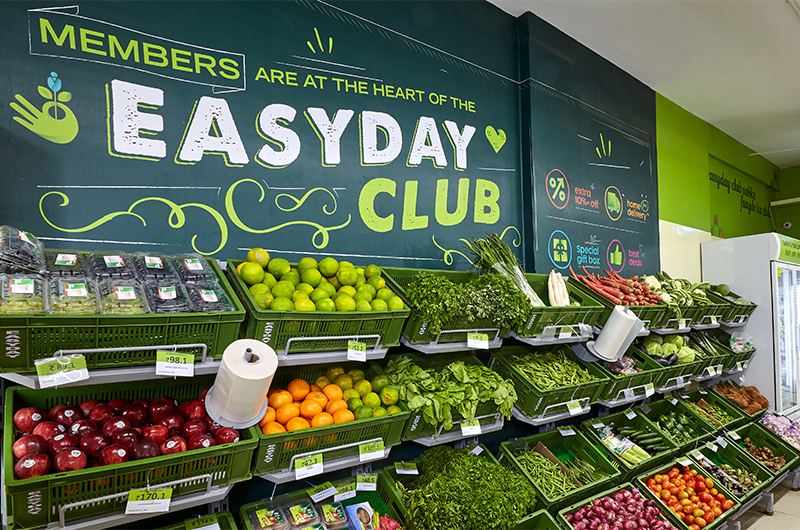 So when they approached us about recreating a new shopping format for Easyday, we seized the opportunity. Easyday was a regular neighbourhood convenience store with a mid-sized self service system. It needed to be converted into an exclusive club with ‘Members-only’ privileges, while offering a hyperlocal community shopping experience to its customers. After revamping the brand’s identity, we decided to design the outlets to reflect the new brand value system. The communication is built around the fresh & easy product offerings and a vibrant range of icons were developed to complement the system. In-store signage is treated as a means of conversing with the customer and is clear, compelling, friendly & on-brand. Internal pillars, walls, beams and product displays are accented in Easyday greens for a brand-centric look & feel which extends to shopping carts and baskets as well. The aisle signages are in a Dinoc raw wood finish to offer a hint of rustic and a subtle affinity with ‘farm-fresh’ crate packaging. A community bulletin board is placed near the entrance-exit to encourage Easyday Club members to promote their services & share information on local events, for a more involved Community connect. 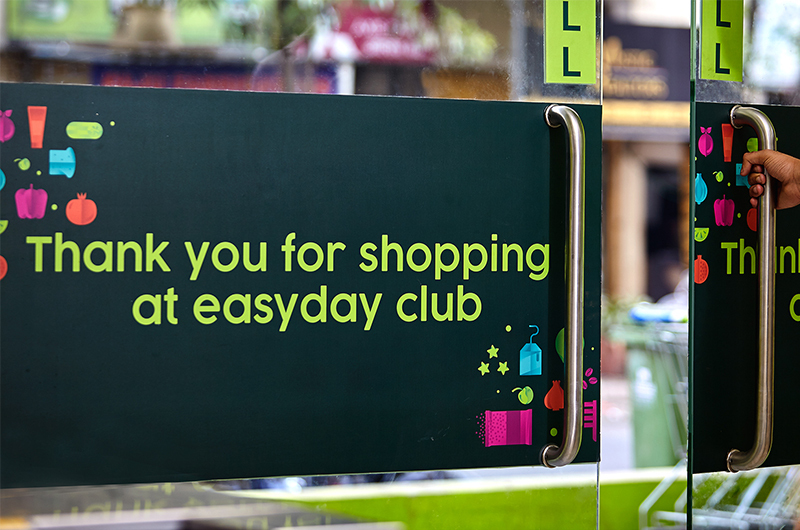 The larger format Easyday Club storefronts are fitted with backlit fascias and logos to convey a prominent, premium image. Once the designs were approved, we held an engaging design briefing & implementation session with the client & vendor teams, to ensure a smooth roll-out of future Easyday stores, many of which have since been opened to the public, with a good response. Due to the success of the new formats, Future Group has plans to open around 10,000 Easyday stores pan India by 2022.